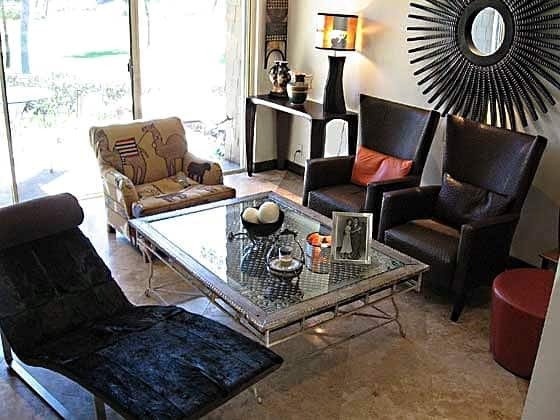 Newport Beach’s Noleen Kutash imports and sells South African furniture, décor and art from her home-based showroom. Noleen Kutash could see the ocean. The native South African had a marvelous view from her home perched on a cliff in Palos Verdes. But one morning in 2000, after deciding with her ex-husband to sell the house, she realized a drastic change was needed. She found an international school for her then 11-year-old daughter, Kyleen, and the duo were off to Florence where Kutash spent her time studying the Renaissance while making fig jam, harvesting olives and writing letters to friends. The trip would be a catalyst for the travels to come. 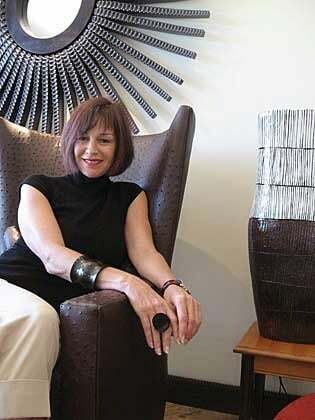 In a year’s time, she would be back in America – eventually winding up in Newport Beach – as one of the most prolific importers of South African furniture, décor and art in the nation. “My first experience in retail was during America’s worst moment,” Kutash recalled. She had returned from Italy and was living at a friend’s house in Palos Verdes. Another friend, who had been importing furniture from Indonesia, asked her to go to South Africa to find picture frames, candles and a few items of furniture. Kutash – born in the wine region of Paarl, South Africa – went and bought 1,000 pounds of merchandise. She returned to the U.S. on Sept. 1. Ten days later, terrorists attacked the World Trade Center and her freight was delayed by three weeks. Though her start was rough, business gradually grew. Sparked by her friend’s request, Kutash began importing more frequently, opening her own company, Phases Africa, in the process. She brings in fewer trinkets and more furniture now. Her collection includes tables made of the yellow jarah wood used in railway planks, chandeliers made with kudu horn and ostrich eggs and chairs made with ostrich skin or springbok hide. With the exception of zebra, every single hide or horn that she sells is a byproduct of the food that is eaten in South Africa. Kutash said strict government-controlled culling has been enforced and the government determines how many zebras at each game farm are protected due to animal famine and severe drought. 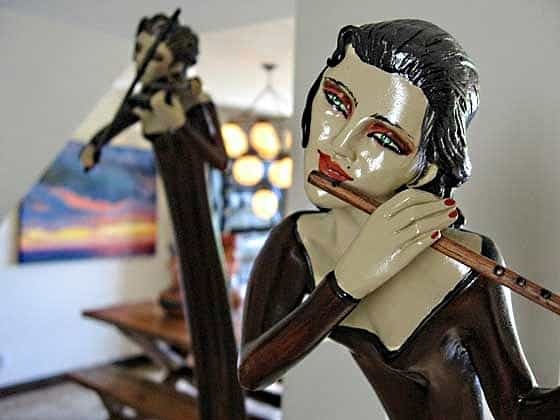 Kutash also sells accessories such as ceramic busts, wire baskets made with telephone wire and sculptures of tall men and women – jutting, exaggerated skinny carvings painted to look like colonial Africans. Many of her dealers work exclusively with her in the United States, though they still conduct business in Europe and other parts of the world. For three years, she wholesaled her products until opening a showroom in 2004 inside of The Collection, a Los Angeles store that houses different sellers’ furniture, décor and various other products. Recently, Kutash moved her showroom into a space more suited to truly convey the look of African furnishings – her own home. Seated in a plush, camel-patterned fabric chair in her living-room-turned-gallery, Kutash takes a sip of rooibos tea to wash down a bite of shortbread before discussing her future plans. Her business is now established enough to be fully operational – and she does it all without the help of employees. Customers can check products on her Web site via a password-encrypted online catalogue or visit her Newport Beach condo for product information and purchasing. Her daughter is grown up now and about to graduate from high school. As Kyleen contemplates studying at an East Coast school, Kutash contemplates packing up and heading off again.